Blood group typing is a process of identifying type of blood that a person has. The process depends on the level of antigens on Red Blood Cells (RBC) present. Blood group typing is usually conducted during organ and blood donation as organ or blood donation requires blood transfusion and also the knowledge of Rh factor present on the RBC. Identification of blood group is also important during the pregnancy as it prevents the new born from exposure of anemia. The global blood group typing market has seen a rise in growth due to technological advancements in the healthcare sector. The market is about to grow during the forecast period because of the increasing research and development activities in forensic science, increase in the number of accidents, rising organ donation, and increase number of pregnancy. On the downside, the lack of skilled professional is expected to slug the growth rate of this market, as pure professionals are needed in this area. The world blood group typing market is segmented on the basis of types of test, techniques used, end users, and offerings. On the basis of product and services, the market is segmented into instruments, services and consumables. Consumable section held largest share in the global blood typing market in 2016. It accounts for the major contribution in the market. On the basis types of test, the market is classified into antigen typing, antibody screening, human leukocyte, ABO blood tests, and cross matching tests. Rise in increase of identification of the disease at its initial stage has increased the growth in the usage of the antibody screening test. North America has emerged dominant in the global blood group typing market. Asia Pacific is expected to lead at the fastest pace in future as the development of the medical sector touch sky. Blood group typing consists of various methods and techniques that are used to detect the group of blood. The correct and reliable grouping of blood is vital to fulfil a variety of clinical ends, especially for safe blood transfusion and in organ donation processes. In recent years, there have been marked developments in the conventional detection methods. Constant technological advancements in microarray, polymerase chain reaction (PCR), and other assay-based techniques have improved detection methods. As a result, the market has seen the advent of high-throughput devices that enable clinicians in multiplexed and quantitative detection of various blood group antigens. Advanced methods such as quantum dots (QDs) and magnetic beads in assays improve identification and enhance clinical safety of blood transfusion. 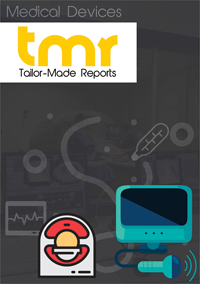 The rising number of blood donations and increasing number of patients needing transfusion due to accidents and trauma are the primary factors driving the blood group typing market. The growing demand for blood group typing for pregnancy and prenatal testing has boosted the market. Blood typing is also crucial to detect the condition of hemolytic disease of the newborn (HDN) in pregnant women, thereby stimulating the demand for such tests. Increasing application of blood group typing in forensic sciences is further expected to catalyze the market growth. The advent of novel molecular diagnostic tools that help in reliable and rapid identification of group in a large blood samples is expected to provide abundant opportunities to market players. For instance, the molecular genotyping of ABO blood groups in large populations can be accomplished with the help of these methods. A recent clinical study published in International Journal of Nanomedicine reveals that scientists have developed a novel multiplexed method for the identification of ABO blood groups. The study was approved by the Ethics Committee of Southwest Hospital, Third Military Medical University, a prominent military institution of higher learning in China. Researchers conducting the study, quantified blood group A and B antigens with QD fluorescence assay (QFA). The assay integrates the traditional QD labeling with magnetic beads to make high throughput and quantitative method for rapid detection of antigens present in the ABO blood groups of fairly large volume populations. The scientists evaluated the efficacy of the method by testing the blood samples for 791 people and they confirmed that the accuracy was 100%; in addition, they asserted that when the conditions were optimized, even detection in weak samples produced satisfactory results. An estimate by the researchers states that the multiplexed detection can be completed within the short span of 35 minutes with over 105 RBCs (red blood cells). This study holds marked significance for blood transfusion safety. The findings of the study show promising prospect for the blood group typing market, since the testing process can be used to devise an effective clinical strategy to improvise on the identification methods for ABO blood groups. Geographically, North America is a prominent market for blood group typing devices and consumables. The regional market is expected to witness substantial growth in the coming years. The growth of the market is attributed to the constant technological advancements in PCR and assays for blood grouping leading to the design of cost-effective and novel blood-grouping platforms. Meanwhile, Asia Pacific is expected to provide lucrative avenues over the forecast period from 2017 to 2025. The impressive pace of growth of the Asia Pacific market for blood group typing is driven by some promising clinical studies in high throughput devices, increasing healthcare spending, and the growing number of blood transfusions. Several players are making innovations in their offerings and using advanced technologies to discover novel methods for blood group typing. Key companies operating in the blood group typing market are Novacyt Group, Day medical SA, Rapid Labs, Quotient, Ltd., AXO Science, Bio-Rad Laboratories, Inc., Ortho Clinical Diagnostics, Inc. Immucor, Inc., and Grifols, S.A.